Did it ever occur to you that Jesus was unregenerate? He never had to be regenerated by God because He never lacked eternal life. He always had eternal life. In fact, Jesus is eternal life (John 1:4-5; 14:6; 1 John 5:11-12). Yet even though Jesus is eternal life, Jesus Himself was elected by God. Jesus was chosen. “A wide range of texts throughout the New Testament identifies Jesus as God’s Chosen or Appointed One” (Klein, The New Chosen People, 269). Robert Shank overstates the case when he writes that “outside of Christ this is no election of any man” (Shank, Elect in the Son, 27). Nevertheless, it is safe to say that Jesus is the premier Elect One (Isa 42:1). 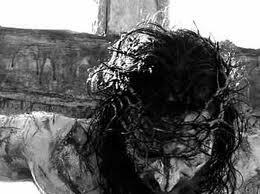 Even when He hung dying on the cross, He was recognized by His enemies as being the chosen one of God (Luke 23:35). Again, does this mean that Jesus was chosen by God to sovereignly receive the free gift of eternal life from God? Of course not! Yet Jesus was elected by God from all eternity. What for? As we saw in the case of Israel, God chose Jesus, not to be the recipient of regeneration, but to serve a purpose and fulfill a role in God’s plan of redemption. Just as God’s election of Israel was an election to service, purpose, and vocation, so also, God’s election of Jesus was to service, purpose, and vocation. Jesus was to be Israel’s righteous remnant, a light to the Gentiles, and God’s Suffering Servant (Isa 49:6-7; cf. Matt 12:18). “The Messiah, like the nation [of Israel], was chosen to do a task” (Marston and Forster, God’s Strategy in Human History, 147). What task did Jesus accomplish as God’s Elect One? to testify to the truth (John 18:37). and to become a high priest (Heb 2:17). This is a significant list, and they reveal that the election of Jesus as God’s Messiah was not an election to eternal life, but an election to service. This fits which what we have already seen about God’s election of Israel. Just as it is best to understand the election of Israel as election to service, so also, the election of Jesus most naturally is understood as an election to service. Fantastic! It is quite a topic and leads to many discussions! Any conclusions you came up with your friends? Mostly I have seeing that election is always linked with glorification and the eternal purpose themes in scripture eg Romans 8:16-30, Hebrews 2:10 and 2 Thessalonians 2:10-14. I look forward to hearing more from you on the topic. Glad you are enjoying it. I will be writing on at least two of those texts. If Jesus is God how was he chosen by God? I am not sure I understand the question. If being “chosen” means being chosen to service, then Jesus was chosen by God to serve a particular role and function, which He did perfectly. Oh… wait, I see. You are challenging the Trinity. This post is not about the Trinity. I have written on that elsewhere. The more I read this statement, the more powerful its meaning becomes! Yes. I think I learned it from Forster and Marston, whose book I will frequently quote in this series. Proverbs 8:22-31 are wonderful verses to show that Jesus was the first of the election. Great discussion!! Jeremy, this is presented so well. You hooked me when you said, “Jesus was unregenerate.” As I read you took me around the corner. Awesome. I would like to add one little thing. 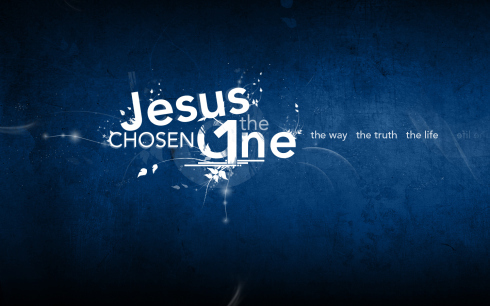 Peter 1:20 says that Jesus was Chosen before the creation of the world. There are a number of great rabbit trails whether you want to look the blood of the “eternal covenant” noted in Hebrews, a covenant which is not written about in scripture anywhere, but implies that the plan of salvation is before all time – and it is the blood of the cross which impelled Christ from the grave. Moreover, vast amounts of New Testament doctrine originated from the teachings in Enoch. There I beheld the Ancient of days, whose head was like white wool, and with him another, whose countenance resembled that of man. His countenance was full of grace, like that of one of the holy angels. Then I inquired of one of the angels, who went with me, and who showed me every secret thing, concerning this Son of man; who he was; whence he was; and why he accompanied the Ancient of days. He answered and said to me, This is the Son of man, to whom righteousness belongs; with whom righteousness has dwelt; and who will reveal all the treasures of that which is concealed: for the Lord of spirits has chosen him; and his portion has surpassed all before the Lord of spirits in everlasting uprightness. You’re spot on. Christ was chosen to be our salvation, to fulfill the eternal covenant, to lead us, to grant us righteousness, to model salvation to us, to guide and comfort us, and then when all has gone to pot, to return and consummate the grace he has chosen us to receive. Thank you for taking the time to write this great piece. Thanks for the encouraging words and the additional insights, Mike. yes, the Son of Man concept is Scripture is quite significant. Thanks!